Spring is nearly here and with it comes some special holidays and holiday foods. Using a food thermometer when preparing meals is essential to serving safe food to our family and friends. Cooking food thoroughly is one of the four steps in preventing food borne illness according to the national “Fight BAC!™” campaign. The other three steps are: having clean hands and surfaces, separating raw and cooked foods and chilling leftovers promptly. Here is some food safety advice from the USDA for foods typically served at spring holidays. • EGGS: Hard-cooked eggs should be cooked thoroughly. Refrigerate eggs within two hours of cooking and use them within a week. • DYEING AND HUNTING EGGS: To dye hard-cooked eggs, use a food-safe coloring and place them in the refrigerator within two hours. Hard-cooked eggs for an egg hunt must be prepared with care to prevent cracking the shells. If the shells crack, bacteria could contaminate the inside. The total time for hiding and hunting eggs should not be longer than two hours. The “found” eggs must be scrubbed with a brush or cloth under running water, dried and then re-refrigerated until eaten. You could also hide plastic eggs and then use the refrigerated decorated eggs to eat. • BEEF AND LAMB are often served at spring dinners. Marinated meat must be kept in the refrigerator before cooking. Roasts, steaks, and chops should be cooked to at least 145°F in an oven set no lower than 325°F. Ground meats, on the other hand, should be cooked to 160°F. • HAM: Both vacuum-packaged fully cooked and canned hams can be eaten cold just as they come from their packaging. To reheat them, set the oven no lower than 325°F and heat to an internal temperature of 140°F. Cook-before-eating hams must be baked in an oven set no lower than 325°F and reach 160°F before serving. Hams can also be safely cooked in a microwave oven, other countertop appliances and on the stove top. • TURKEY OR CHICKEN: To defrost frozen poultry, place it in the refrigerator allowing one day for every four pounds. These birds can also be safely thawed by submerging the wrapped poultry in cold tap water, changing the water every 30 minutes. When roasting whole poultry, set the oven to no lower than 325°F and heat to an internal temperature of 165°F in the thigh as measured with a food thermometer. If stuffing whole poultry, make the dressing immediately before inserting it loosely in the cavity. The stuffing must reach 165°F before removing the bird from the oven. • HANDLING LEFTOVERS: No perishable foods should stand at room temperature for more than two hours. Place leftovers in shallow containers, refrigerate, and use or freeze within three to four days. Thoroughly reheat leftovers to 165°F. Using a thermometer lets you know that you are cooking your food thoroughly and at the same time you will know that it isn’t overcooked and dry! Access the full article on The Daily Reporter website. Jeannie Nichols is a food safety educator for Michigan State University Extension. She can be reached at nicho115@msu.edu or 517-439-9301. Reducing the risk of foodborne illness for consumers is the primary focus of the Partnership for Food Safety Education. One in six Americans get a foodborne illness each year. In our work as food safety educators we can support consumers with actions they can take to reduce cross-contamination and to handle food in a way that helps them manage risk of germs like salmonella, campylobacter, E-coli and listeria monocytogenes. Food waste is food that is discarded or lost uneaten. Sometimes in food safety education we encourage food to be tossed uneaten if it can pose a health risk to a consumer. Food waste is a huge challenge to our natural resources, our environment, and our pocketbooks. Howard Seltzer, a National Food Safety Education Advisor at the U.S. Food and Drug Administration, has been a terrific supporter of the Partnership and a true colleague in food safety education. Howard recently shared information with the BAC Fighter community on food waste and food safety. Q: What is the connection between food waste and food safety? Seltzer: Food waste by consumers can result from fears about food safety. Some of these fears relate to misunderstandings about what food product dating actually means. Also, consumers can be uncertain about how to store perishable foods. Q: What are the basics of understanding food product dating? Seltzer: Except for infant formula, dates on food products are not required by any Federal law or regulation, although some states do have requirements for them. Most of the food dates consumers see are on perishable foods. These are foods likely to quickly spoil, decay or become unsafe to eat if not kept refrigerated at 40° F or below or frozen at 0° F or below. Perishables include meat, poultry, fish, dairy products, eggs, and fresh fruits and vegetables. Producers of perishable food use dates to help ensure that consumers buy or use them while the products are at what the producers consider their best quality. Sell by date indicates that a product should not be sold after that date if the buyer is to have it at its best quality. Use by date or Best by date is the maker’s estimate of how long a product will keep at its best quality. These are quality dates only, not safety dates. 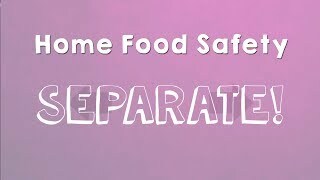 If stored properly, a food product should be safe, wholesome and of good quality after its Use by or Best by date. Q: What are tools that BAC Fighters can use in educating consumers about storing and handing perishable foods? Seltzer: The U.S. Department of Agriculture, Cornell University and the Food Marketing Institute cooperatively developed an app called “The FoodKeeper”. This app tells you how best to store perishables and how long they will keep safely. “The FoodKeeper” app is a complete guide to how long virtually every food available in the United States will keep its quality and flavor in the pantry, in the refrigerator, and in the freezer. You can download the FoodKeeper as a mobile app on your Android or Apple devices. 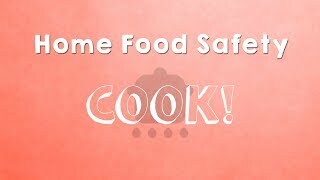 You also can access it at FoodSafety.gov. Q: What are some practical grocery shopping and eating tips that can help consumers manage their food at home? Seltzer: First of all, don’t buy more perishable food than you can reasonably consume before it reaches its maximum storage time. For example, prepackaged luncheon meats will keep two weeks when stored in the refrigerator or three to five days if refrigerated after opening. Plan your meals and use shopping lists. Think about what you are buying and when it will be eaten or used. Before you shop, check your fridge and pantry to avoid buying an item that you already have. Also, avoid impulse and bulk purchases, especially fresh produce and dairy that have limited shelf life. Promotions encouraging purchase of unusual or bulk products often result in consumers buying foods outside their typical needs or family preferences. These foods may end up in the trash. Lastly, when eating out, become a more mindful eater. If you’re not terribly hungry, request smaller portions. Bring your leftovers home and refrigerate or freeze them within two hours. Q: Potential for waste of these foods is high for perishable foods. What are the most important tips around storing perishables? Seltzer: Here are a few important tips on storing of perishable foods so that you can avoid food waste. Make sure the temperature of your refrigerator is at or below 40° F. This will ensure perishables are stored safely. Next, avoid “over packing” your fridge. 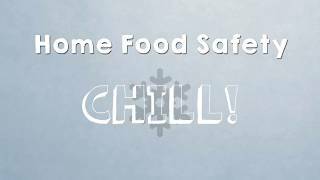 Cold air must circulate around refrigerated foods to keep them properly chilled. Wipe up spills in your refrigerator immediately. 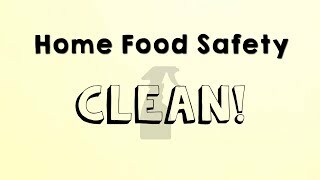 This action will reduce the risk of cross contamination where bacteria from one food get spread to other foods in your refrigerator. Finally, check your fridge often to keep track of what you have and what needs to be reheated and eaten or put in the freezer for later use. Leftovers should be used within 3-4 days. You can avoid wasting food by planning to eat these leftovers within the 3-4 days. Q: What’s the difference between spoilage bacteria and the bacteria that can cause a foodborne illness? Seltzer: Most people would not choose to eat spoiled food. However, if they did, they probably would not get sick. Spoilage bacteria can cause fruits and vegetables to get mushy or slimy, or meat to develop a bad odor, but they do not generally make you sick. Pathogenic bacteria cause illness. They grow rapidly in the Danger Zone-the temperatures between 40 °F (4.4 °C) and 140 °F (60 °C) and do not generally affect the taste, smell, or appearance of food. Food that is left too long at unsafe temperatures could be dangerous to eat, but smell and look just fine. In July, Eileen Haraminac, MS, an extension educator with Michigan State University, responded to the Partnership for Food Safety Education’s offer to BAC Fighters for a Don’t Wing It health fair kit. The kits were mailed out in late August. Eileen put the kit into action when she partnered with the Macomb County (MI) Community Action Group – Macomb Food Program at one of their food distribution sites – the Centerline Towers Senior Apartments. They brought in the mobile food pantry to distribute fresh fruits and vegetables, milk, bread and other items for the residents. The event brought out 75 seniors. As the seniors waited in line for the distribution, Eileen gathered them in small groups of 10 to discuss the Don’t Wing It brochure and to have short conversations about the use of the plastic bags at the meat counter. Eileen talked with the seniors about the poultry handling messages and the recipes from Don’t Wing It. She reports that most of the seniors were unaware of the spread of bacteria from rinsing poultry, and she thinks that it was effective to talk with them about the importance of safe minimum temperatures to kill bacteria.